Greetings. It's good to have you stop in for a visit. The following info about Wee Folk Creations will tell you quite a bit about what Dan and I have been doing for the last 30 years. 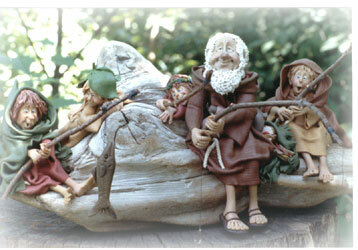 Wee Folk Creations specializes in the designs, artwork and stories of polymer clay artist and author, Maureen Carlson. Maureen has been an avid fan of polymer clay since 1979, when her first FIMO wee folk looked back at her and grinned - or so she says. This stuff had life! It was magic! For many years Maureen made one-of-a-kind characters which she sold primarily at the Minnesota Renaissance Festival (1979 - 1991). Dan, Maureen's husband, joined the business in 1989, when he produced their first teaching videotape, Mug Dwellers and Wee Folk. That first video led to 4 others, and then to the expansion of their business to include general polymer clay supplies. 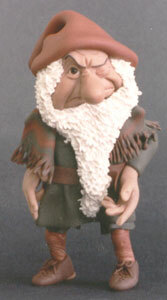 Wee Folk Creations became one of the leaders in the rapidly expanding world of polymer clay design. Along the way Maureen began writing craft books, beginning with FIMO FOLK, published by Hot Off the Press in 1992. How to Make Clay Characters, published by North Light Books in 1998, has continued to be her best-selling book to date. 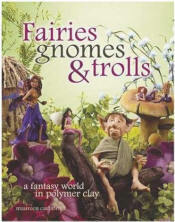 Maureen especially enjoyed Family and Friends in Polymer Clay and Faeries, Gnomes and Trolls, both published by North Light Books. Most of her books are now out of print, but can be purchased on-line through resale sites, such as Amazon and Barnes and Noble. In 2005, Dan cut back on the clay part of the mail order business in order to specialize in Maureen Carlson designs, which included how-to books, push molds, stories and several lines of collectible characters, including Pippsywoggins®, Friar Folk™ and Sister Folk™. Click on pictures to see more. that is licensed to Abbey Press. Maureen's designs are about imagination, whimsy and the joy of recognizing a glint of understanding in the eyes of a wee clay creature. The seeds for this imaginative view of life began on a dairy farm in central Michigan, in the American midwest, where Maureen spent hours wandering the woods and fields and digging in the garden. The soil and sun and green sprouts and falling leaves eventually became the background for many of her stories. 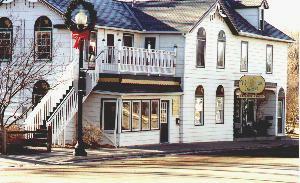 In 1999, the Carlsons opened Maureen Carlson's Center for Creative Arts, in Jordan, Minnesota, just 35 miles southwest of Minneapolis. In this small town setting, perched on the edge of a small meandering creek, students and retreat participants had opportunities to learn, to share and to explore their creative interests. The Center for Creative Arts closed in 2015, but the building continues to be the home base for both Wee Folk Creations and The Maureen Carlson Studio.